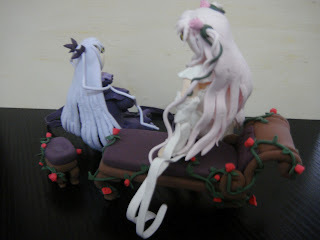 Before, I doesn't like anime at all, but after watching one of it, I have a big interest on it. The first and my favorite anime was Rozen Maiden. After it, I can't stop from watching others anime. Of Course, I had mold them out after watching it, but the results wasn't come out very nicely, because at that time I doesn't know how to mold an anime face to looks realistic. They were done on 2011 October. 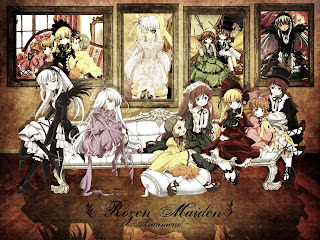 A CD Cover of Rozen Maiden: Traumend. Sadly Kirakishou wasn't including in the picture, but I still had mold her out. 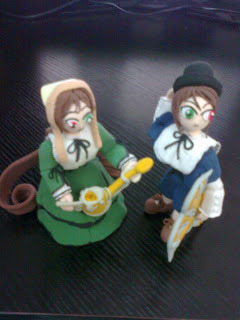 Here are some of the pictures of all the Rozen Maiden Dolls made on 2011. 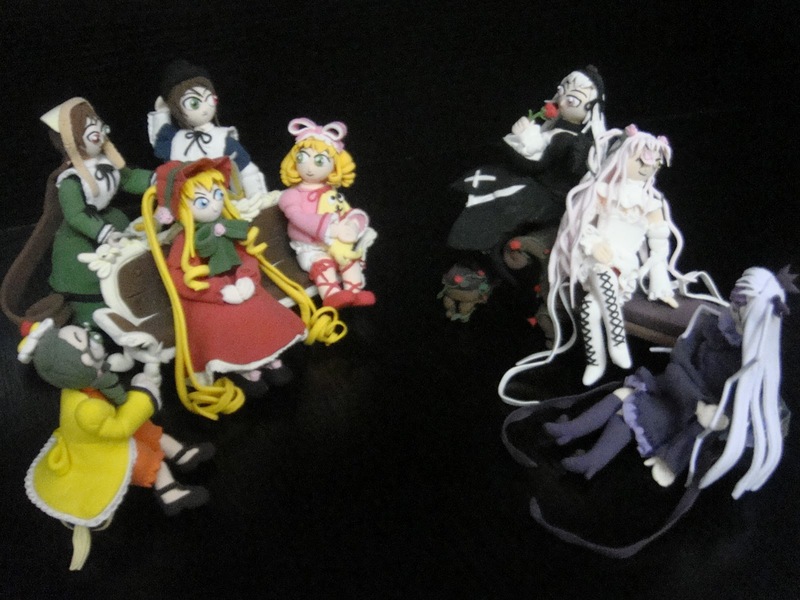 I had made a sofa that was same as the picture on top, but accidently made the dolls a little too big so can't place too much dolls on it. 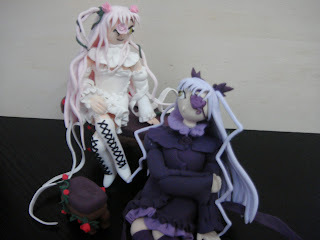 Another two characters above was Kirakishou the seventh doll (which sppears in manga and made a cameo in anime) and Barasuishou the fake doll (which only spears in the anime and never in manga). Each figure having a height of 70mm-90mm. 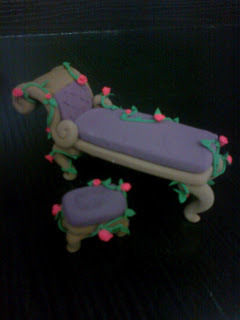 This is the divan I made for the others dolls to sit on it because the sofa wasn't enough large. 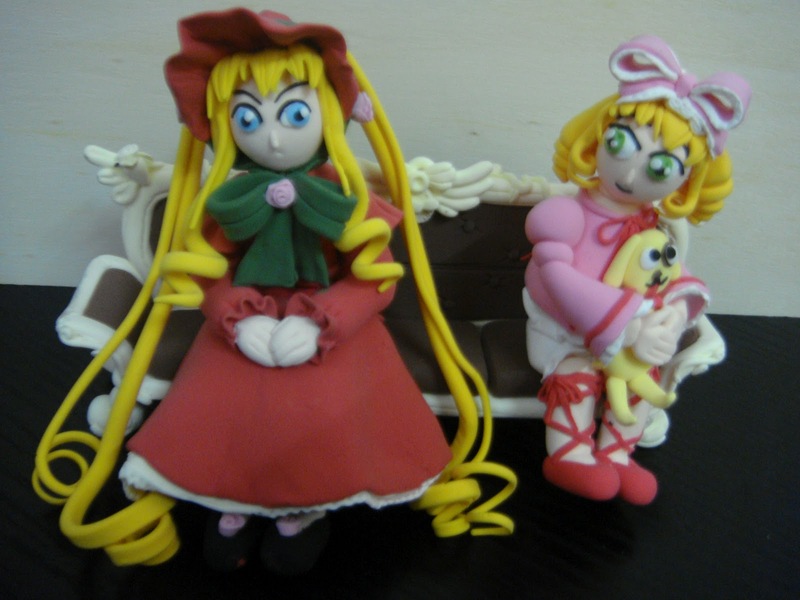 Both of them above are the twin sisters, Suiseiseki the third and Souseiseki the fourth. I doesn't show The first and second dolls because I forgot to took picture of them last time, except the second photo which contains all of the dolls.The photo doesn't looks smoothly because I take them by mobile. 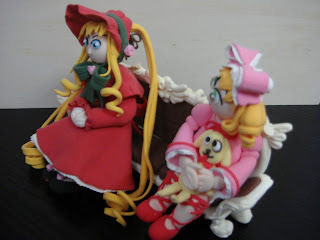 You can request for any characters you like, I maybe could try to mold it out.